Spending extra money on heating and cooling is not something anyone wants. The easiest solution is, if course, purchasing a high-efficiency HVAC system. A new system can greatly increase the efficiency of your home, thus reducing your heating and cooling costs. It isn’t the most practical solution for everyone, however. If your system is only a few years old or just in great shape, you don’t have to miss out on getting energy savings. 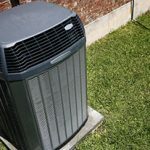 Whether your heating & air conditioning system is new or old, you rent or own, these efficiency tips can help you get the most out of your systems efficiency. Unblock all HVAC registers to ensure maximum air flow. Open curtains during the day to heat your home, or keep them closed to cool them. Check windows and doors for drafts and seal them if necessary. Always replace your air filters on time. Insulate electrical boxes and outlets. Use a chimney balloon to keep air from escaping from your fireplace (take out when fireplace in use). Upgrade insulation in cold spaces such as your garage and attic. Have your HVAC system regularly maintained. Clear debris off your outdoor AC unit. Keep lamps and other heat producing appliances away from your thermostat. Avoid using your dryer, oven, or other hot appliances during times of peak temperature. Need an Efficient HVAC System in the Houston Area? Following a few or all of these simple tips can increase the efficiency of your home. With heating and cooling making up 50-70% of your utility costs, even a small increase in efficiency can mean significant savings. If you still aren’t impressed with your system’s efficiency, talk to us about 0% financing for 36 months on a new heating and cooling system for your Houston area ome. Be sure to check out our current specials for up to $2,000 off a new high-efficiency unit.